The Harvesters are going to find out as they tour the Sarasota Honey Company on Wednesday, November 14 starting at 10 a.m.
Sarasota Honey Company is a family owned and community-driven apiary company located at 2227 University Parkway, Sarasota. The company has a very special commitment to the special needs community. They are proud that many of their products are made by and benefit people with special needs and promote honey bee awareness through programs and community partners that share their mission. 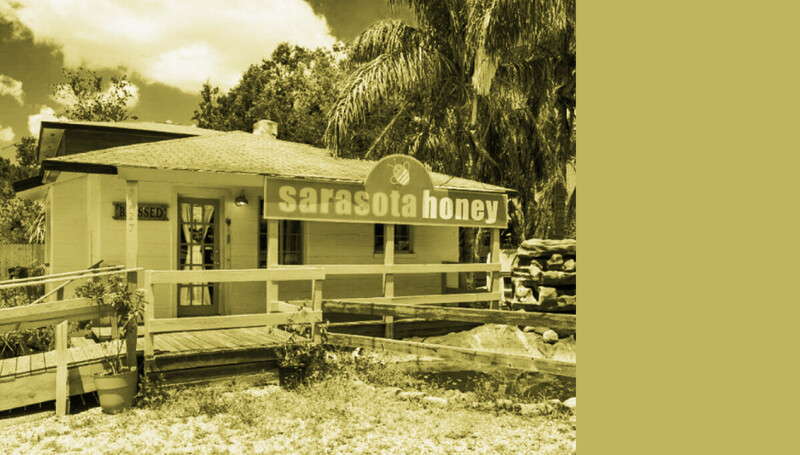 The Sarasota Honey Company is an urban apiary company with many bee yards scattered around the local area. Every location produces its own distinct honey flavor that changes with every season. During the tour, the Harvesters will learn about beekeeping in Florida, benefits and duties of the hive, and what makes Sarasota Honey Company unique. You will see some of the honey bees in their garden and will have the opportunity to sample a variety of their raw honey accompanied by fruit and cheese pairings. Company products will also be available for purchase. Cost for the tour is $10 per person. Space is limited so we encourage you to register early. Registration deadline was Friday, November 9. Following the tour, the Harvesters will have lunch at Bob’s Train, a Sarasota diner housed in four train cars of yesteryear. Cost of lunch will be on your own. If you have any questions, contact Bob or Mary Stark at 231-564-0677.